This suite is a great example of how personalized touches can create a unique suite using our semi custom designs. 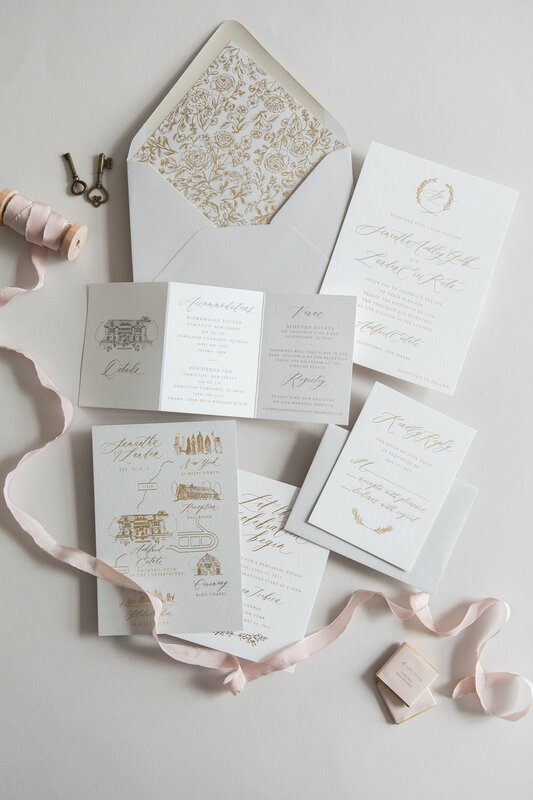 We started with our Heirloom design and laurel motif in gold foil with touches of grey. A custom floral liner and accordion details booklet give this suite a beautifully fresh and elevated look.